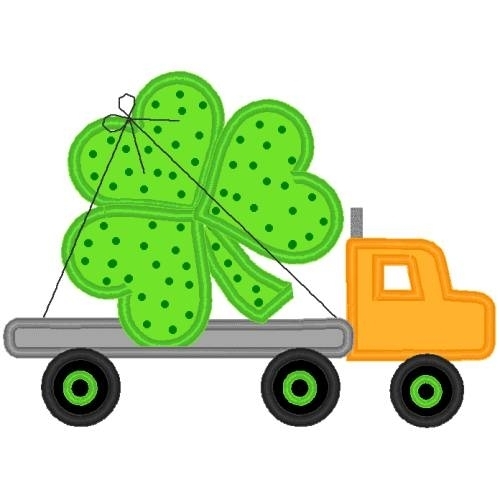 Flatbed Hauling Shamrock Applique - 3 Sizes! No one can celebrate the holiday without the shamrock. Leave the job to this flatbed and get it done. Includes 4x4, 5x7 and 6x10 sizes. Finish Size 3 (11/16)" x 2 (3/4)"
Finish Size 6 (9/16)" x 4 (3/4)"
Finish Size 8 (5/16)" x 6 "